We are proud to present a Scripts Spotlight: Podcast Performance of an excerpt from the folk musical Unplugged by Yasmine Van Wilt. Any attempt to record, reproduce, cover or tamper with any of these copyrighted materials will be considered a breach of copyright laws and will be addressed accordingly. All rights for this recording, including but not limited to the scripted contents, the song, the monologues, etc are the sole property of Yasmine Van Wilt and JEu Limited. This podcast is an excerpt from the musical Unplugged. Unplugged is a folk musical disguised as a live music performance. In Unplugged, Yasmine plays Cajun singer-songwriter Antoinette LaFontaine. Antoinette, who has lost her husband and father to oil-related disasters, talks about the inspiration behind her music: the environment and the people she’s loved and lost. Fundamentally, it’s not a heavy-handed piece, it’s a story told from the heart. The play’s full running time is 1 hour 15 minutes. 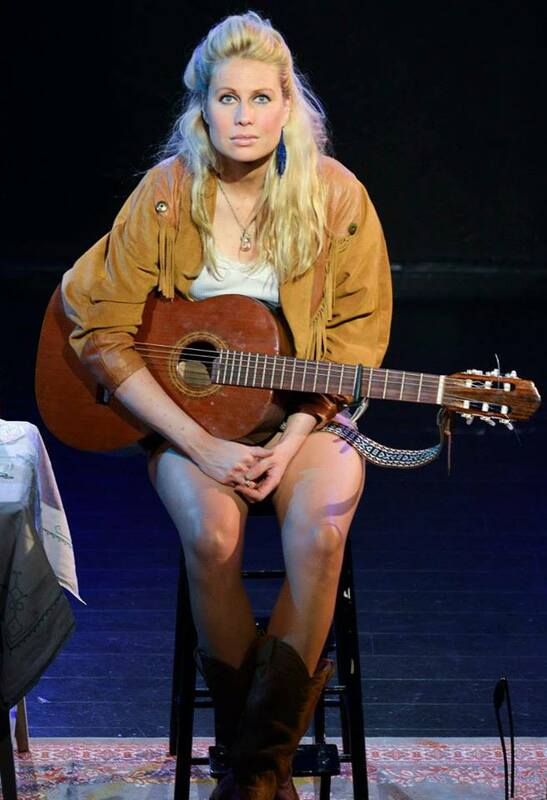 Unplugged originally stemmed from Elle ‘A’ Live and Unplugged which previewed at the Shaw Theatre in August 2012 before opening at the Södra Teatern that same month. The play was an official selection in the 2012 Women Playwrights International Conference hosted by Riksteatern. It was then performed at the Hospital Club in London in October 2012 and then transferred again to Sweden in 2013, with the support of the EU. 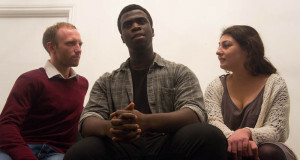 Yasmine has gone on to perform variations of the play at a number of venues in Europe and the US. In May 2014, she performed excerpts of the track on NPR’s WMNF radio. She then performed the play at St Leo University and the White Bear Theatre. She will perform the entire play live on WMNF later this summer. The play incorporates excerpts from Yasmine Van Wilt’s We’re Gonna Make You Whole published by Oberon Books. Yasmine’s self-titled new album will be released this summer. It features many of the songs from this production. 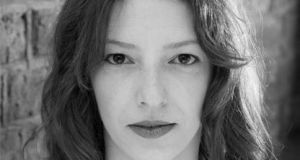 Melina Theocharidou directed and dramaturged all originating productions of the play between August 2012 and August 2013. Annabel Bates produced and also helped develop the show during this period. It was designed (costume, lighting and set) by Jeffrey Michael. Yasmine Van Wilt writes and records under her own name and as alien comedy alter ego Elle ‘A’. In 2012, as Elle ‘A’, she released the track Amazing. It reached no. 7 on UK Upfront and Commercial music charts. It has been on more than 20 global networks including Sky TV, Box TV and Lifestyle TV, has been on the radio in more than 30 countries, and has more than 560,000 hits on YouTube. Yasmine is releasing a series of songs from Unplugged, under her own name, in the forthcoming months. A little about her recent writing and awards (and a little about acting too). Yasmine completed a PhD this past year and is a Fellow of the Royal Society of the Arts. Her play The Gift has been shortlisted as a 2015 Women’s International Playwright official selection. She released her mockumentary TV pilot Jenny and Vinny Uncut in May 2014. Her play The Interrogation was developed in Greece in July 2013 as part of an EU initiative examining theatre in crisis. She also received development funding from the EU for the performance and development of previous versions of Unplugged. She was a 2012 Women’s Playwright International official selection. Her play We’re Gonna Make You Whole, which she wrote, directed, constructed the score for and performed in, was published by Oberon Books in 2011. Melina Theocharidou is a multilingual director, actor and translator. She has a BA in French and Italian (First Class) from UCL and an MA in Text and Performance Studies from RADA and King’s College. 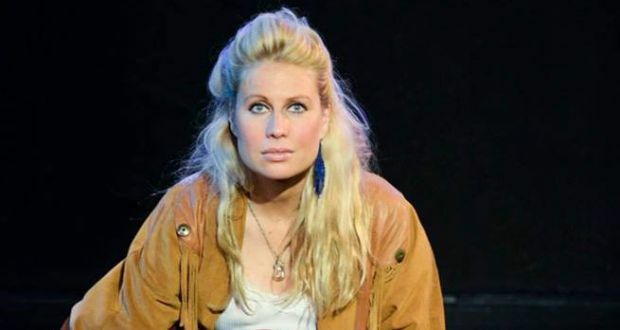 As Artistic Director of The Meddlers Theatre Company, she directed the world premiere of Socrates and his Clouds at Jermyn Street Theatre in June 2013. She has also directed the world premieres of Elle ‘A’ Live and Unplugged at the Shaw Theatre, Södra Teatern in Stockholm and The Hospital Club, Enarxis at Satiriko Theatre in Cyprus, Princess for the Camden Fringe Festival and STOFF in Stockholm, Dream for Theatre Underground at Brunel Museum and Red in the Forest at Poetry Cafe. She directed the UK premiere of Pamela! at Lost Theatre One Act Festival. Melina is a member of the Lincoln Center Theater Directors Lab 2012. Annabel Bates trained at Central School of Speech and Drama (BA Acting). In 2010 she gained production experience at the BBC and the BFI. Since then Annabel has worked for Hopscotch Films, Vita Nova Films, TailorMade Productions, Sinnerman Pictures, Another Word, This Affected Productions, Lost Boy Pictures and JEu. Jeffrey Michael is a London based costume, fashion, and production designer for film, theatre, and celebrity. His work has been featured in film, TV, on red carpet, and shown at London, Paris, Brazilian, and Mercedes Benz Fashion Week. Trained as an architect in Canada, his costumes showcase detailed handmade pieces, as well as uses of layering and unique texture to portray character.